Jonny Gould's Soccermongery: What did Capello learn from this inept England show? What did Capello learn from this inept England show? As a paying supporter who goes to every international at Wembley, I'm so angry at this latest wreckage of an England show. Lame duck Fabio Capello, who's already announced his retirement after EURO 2012, can have learned just one thing from picking the likes of Carroll, Henderson and Bothroyd. Never pick them for England again. Yes, yes, Andy Carroll is "buzzing" after his debut - and you can't fault his enthusiasm and application. But he's a player who became obsolete in 1987. We won't things pumping long balls upto a target man. Please go early, Capello. The Lakes must be beckoning. If being England manager is part cheerleader, part symbol - then Broken England needs some Redknapp medicine to convert inertia into momentum. Bobby Gould once told me he "did the decent thing" and resigned the Welsh job after a 7-1 thrashing in Holland. He's a man of honour and self-respect. Capello's holding on for payday. He's got no reason to maintain his reputation by staying. He's announced his retirement - and he's got enough money. Go! Not only did Capello select unviable players if we want to beat Germany, Italy and Spain, he's also got lazy: If Cardiff and Sunderland triers get a look in, why didn't Stewart Downing and Marc Albrighton? 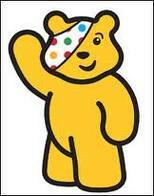 Capello is Pudsey Bear. No spatial vision and with just one eye on the domestic game. Last night's ineptitude was the clearest business case yet for a National Football Centre.